From patio and balcony to gallery and entrance. 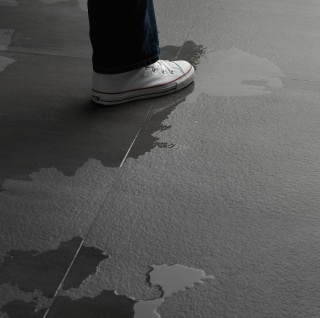 The Mosa floor tiles are also ideally suited to outdoor uses. We can therefore offer a seamless transition between the interior and the exterior. 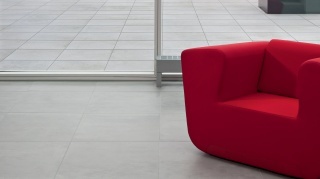 In addition, our collection includes extra-strong outdoor tiles in large formats: our XT tiles. All our floor tiles are naturally well-suited for outdoor use, provided they are glued directly onto a concrete substructure. This enables you to continue the character of your living room out into the garden with no effort at all. We also produce special XT tiles, which are perfect for intensive use on patios, balconies, galleries, and entrances to both public and privately owned buildings. Thanks to their double thickness, these large-format outdoor tiles can bear heavy loads, are scratch, stain, and wear-resistant, and can be incorporated into a floor system or stabilized sand bed. 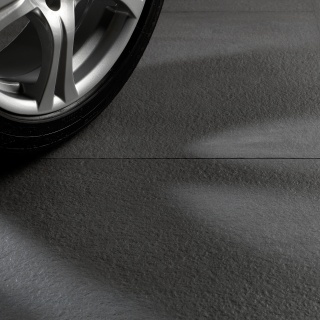 Besides a smooth finish, the tiles are also available in a textured (relief) finish with greater anti-slip properties. The XT tile has been specially designed with heavy use in mind, for instance in public spaces or around commercial buildings. It is a double-sided, large-format tile (30 x 60 centimetres and larger) with exceptional properties. The breaking strength is significantly greater than in other ceramic outdoor tiles. 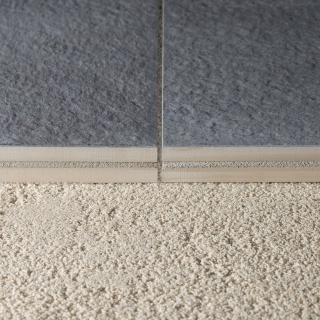 This is thanks to the combination of a top Ultragres-quality Mosa tile and a Mosa ceramic carrier. The extra-strong XT tiles have been included in the integrated and modular tile programmes of the Mosa series set out below. XT is available as standard in these colours, designs, and formats. This makes it possible to create a unified look in the transition from indoors to outdoors, no matter which tiles you choose. All Mosa floor tiles can be used outdoors. Depending on the requirements set, all floor tiles are suitable for gluing directly onto a concrete or other type of substructure. Naturally, the special XT tile can also be used in this way. Laying the XT tiles on a support construction can correct a high difference and/or gradient to result in a completely level surface. The height of the floor support construction can be adjusted. Drainage takes place via the surface below. This raised floor system offers flexibility during both the installation phase and the usage phase. The space below the floor therefore remains accessible. 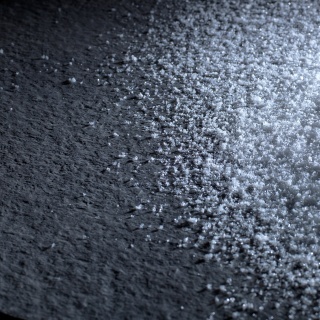 The strong XT tiles can also be used on a stabilized sand bed. 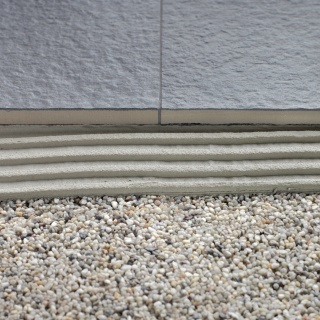 Any joint width can be used to create a continuous pattern from the interior to the exterior. Lightweight, strong, low-maintenance, scratch-resistant, and wear-resistant. 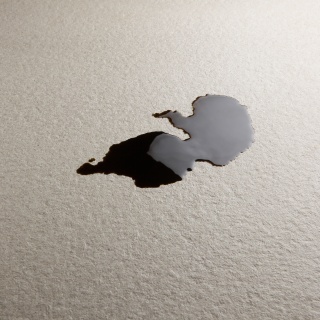 Moisture-resistant and anti-slip (class Ril for types XRL and XRO). UV-resistant and weatherproof. Does not age or discolour. Easy to clean. Resistant to stains from oils, acids, or grease.